It might be too soon to cross off Andre Ethier’s name, but he is a free agent for the first time. There’s a decent chance he will not return in 2018. Go ahead and cross off Barlow’s name. A 2011 draft pick, he pitched eight games above the Double-A level in the last six years. The Royals signed him to a major-league contract Dec. 7. Eric Hosmer, Lorenzo Cain and Mike Moustakas are still free agents, but Scott Barlow is on a 40-man roster in Kansas City. Go figure. Dickson formally moved on this week too. He’s headed to Japan to play for the Rakuten Golden Eagles. I wanted to follow up on this because a few interesting things happened at the end of Dickson’s time as a Dodger that bear mention and, well, it’s a bear market. 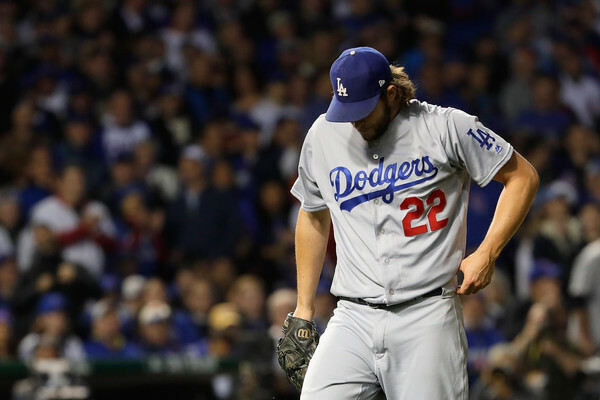 LOS ANGELES — It was 86 degrees Sunday in Los Angeles when Clayton Kershaw sat down uncomfortably in the dugout after pitching the second inning. A Dodgers trainer approached him. After a quick chat the two walked down the tunnel leading into the home clubhouse. Quietly, Kershaw’s day was done. The Dodgers announced that Kershaw left the game with right lower back tightness. Two days after he was transferred out of the intensive care unit of his Manhattan hospital, former Dodgers slugger Pedro Guerrero was able to talk, and move his arms and legs Thursday, according to a friend of Guerrero’s family. Guerrero, 60, suffered a brain hemorrhage while driving to the gym on Monday in Queens. He was taken to the nearest medical facility that night and placed in a medically induced coma, then transferred to Lenox Hill Hospital the next day. Guerrero awoke from the coma Tuesday and has been steadily progressing since. A second source in contact with Guerrero’s family said that the slugger is now aware enough to recite his date of birth. Andrew Toles didn’t merely make his first opening day roster Monday. He’ll get the Dodgers’ first plate appearance of the new season. 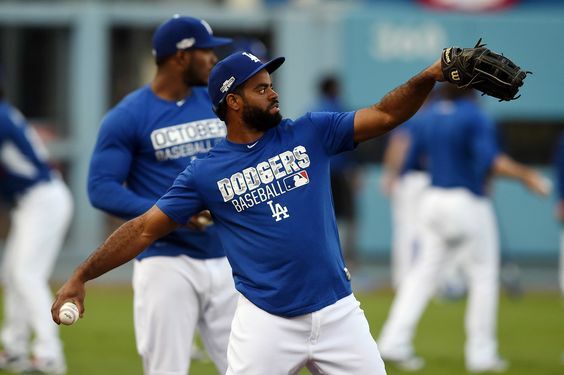 Toles is leading off against the San Diego Padres in the first game of the season for both teams. Here is the Dodgers’ 25-man roster for Opening Day. Note that all 10-day disabled list transactions are retroactive to Thursday, so those players are eligible to return next Sunday.